How to Convert Video_TS to MP4 for iPhone, iPad, iPod, etc. 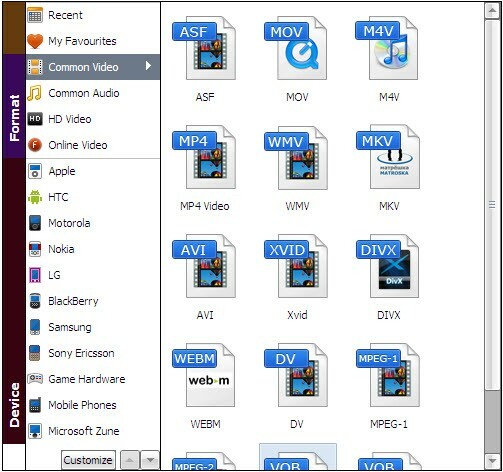 Video_TS files are one of the main folders in a DVD's contents. Yeah, you can view the Video_TS files on your computer and DVD players. However, if you want to put your movies on portable MP4 players like iPhone, iPad, PSP, Xbox 360, Android tablets, etc., you will need to convert Video_TS to MP4 first. To convert Video_TS to MP4, you need the assistant of a Video_TS to MP4 converter. Here we strongly recommend Aimersoft DVD ripper converter to you. With it, you can quickly and easily change Video_TS to MP4 for playing on any MP4 players. And if you want to convert Video_TS to MP4 on Mac, you can turn to Aimersoft DVD rip for Mac. Now download the right version and follow the guide below to get MP4 video files from Video_TS folders. After downloading, install and program and launch it. The tutorial below uses DVD Ripper for Windows (Including Windows 8) screenshots. In fact, the way to convert Video_TS to MP4 on Mac (Mountain Lion) is the same. Just make sure you've got the right version. Click "Load DVD" to select and load the Video_TS files you want to convert. All the loaded files will be displayed on the left source pane and you can choose the titles to rip. Click "Profile" and select MP4 as the output file format. If you want to watch the converted video files on your mobile device, you can browse to find the video preset for that device and get videos with optimized settings. Video presets for devices like iPhone, iPad, iPod, HTC Flyer, Blackberry PlayBook, Motorola Xoom, Samsung Galaxy S II, etc. are provided. At last, click the "Start" button on the main interface to begin converting Video_TS files to MP4 videos. When the conversion completes, you can tap "Find Target" to locate the converted MP4 files. After that, you can play and share them anywhere you like. MP4 is regarded as standard format for video files. MP4 can also be referred to as MPEG-4 as they are one and the same thing. This file format effectively stores audio, video, and several multimedia content. It can be played on almost all types of media players. And being regarded as the standard format, many computers and portable devices can play MP4 files effortlessly. This high-quality video format is the most popular choice for creating, editing, and storing videos that can go anywhere from short clips to full-length movies.